Over 13,000 free fonts bundled with the open source php script including all their original licence information. 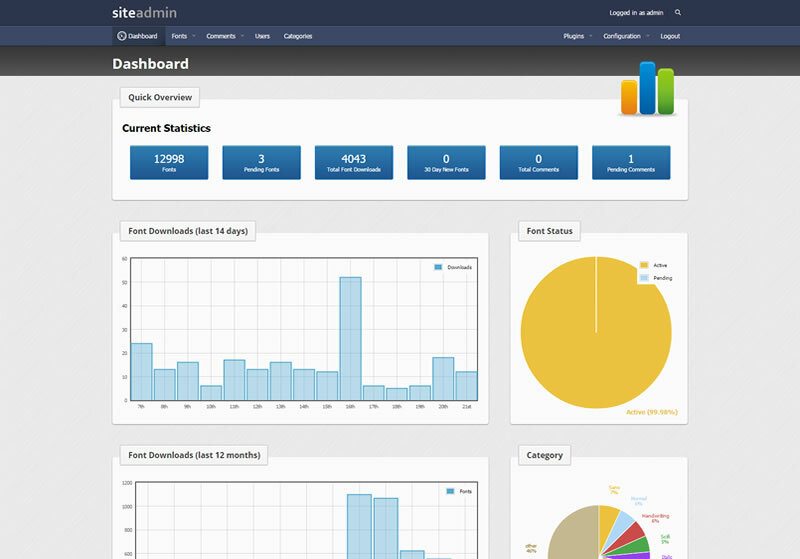 Full PHP driven site with easy setup and configuration. NEW! Nginx rewrite rules includes. SEO friendly urls for search engines and meta information pre-loaded. Ajax rating system for all fonts. Custom preview text option for user. Custom preview text colour option for user. 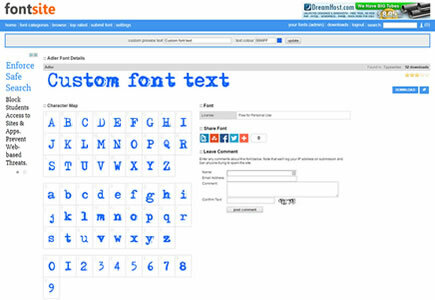 Submit new font option for user and approval via admin. 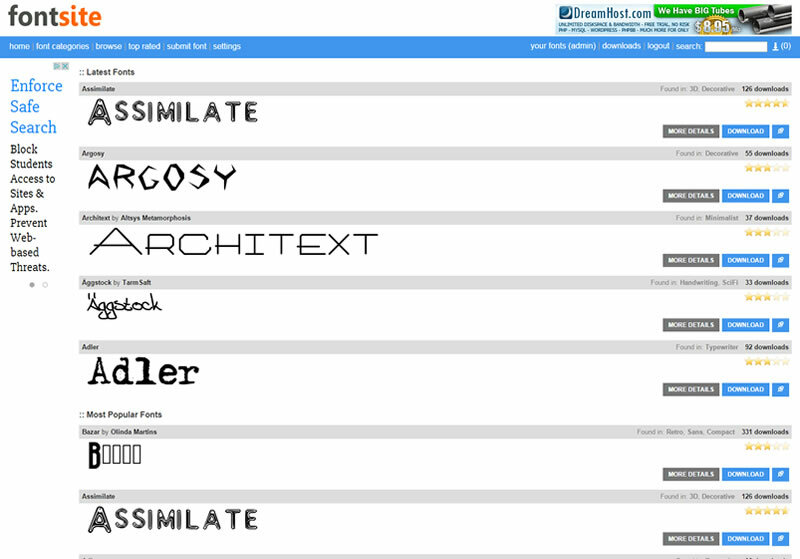 Automatic character map for all fonts. 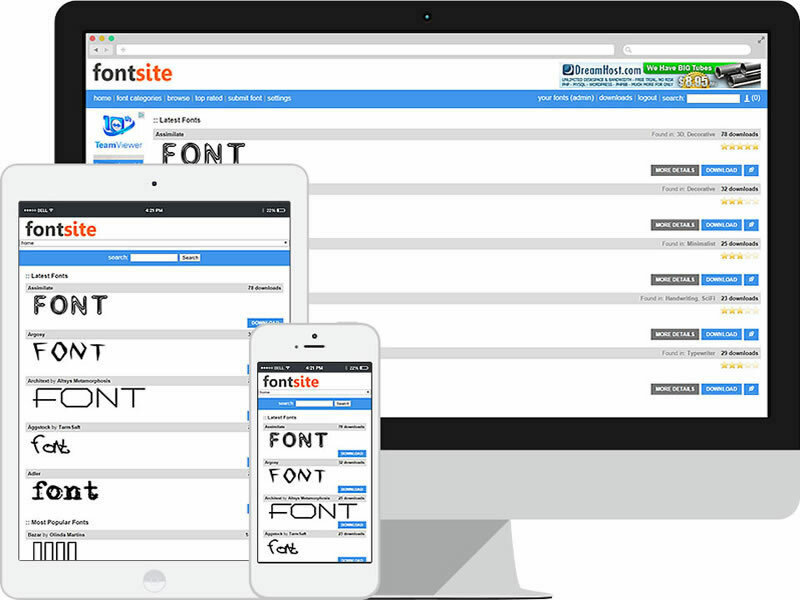 Comments facility on all fonts with the ability for admin to set approval requirement. 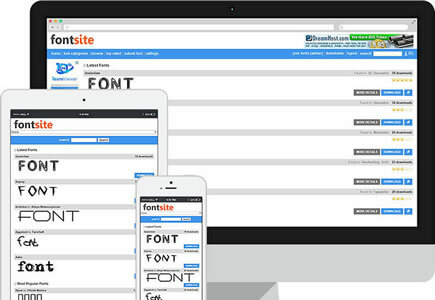 Preview font archive contents before downloading including licence information if applicable. 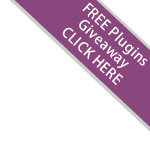 Spam protection - Limit by user IP for the maximum permitted downloads per day. Spam protection - IP blacklisting - ban IPs from using the site. Externally tested for XXS and SQL injection attacks. Manage any of the text content on the website via the admin area. Translation tools within the admin area for conversion to most languages. Other translation and debugging tools. Easy Ads - Use the admin interface to easily integrate your banner ads/advert code. Set default font text: site name, font name or custom text string. Site template is easily customisable. All styles are within a themes directory. Simple, clean, modern look and feel.